I noticed today that the Inpainting Brush was not "drawing" where the circle is, but rather with an offset to the right. The offset seems to be in absolute value, not in percent of its diameter, so if the brush is small, it will draw completely out of the brush circle. 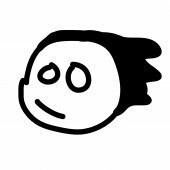 As an observation, yesterday I was working on the same document, but I don't remember having any issues, except today. I could provide the document by email, if required. As screenshot didn't capture the cursor, I had to take photos of the screen. Apologies for the quality. After closing the document and opening it again, the Inpainting Brush worked fine. This makes the issue even more worrying, as it doesn't have consistency, so it might be hard to reproduce. We've not seen this before, and neither we could reproduce it. If it happens again, let us know. For the meantime, we will close this as " cannot reproduce". I noticed quite a lot of "cannot reproduce" situations which makes me wonder why Affinity doesn't have a logging system, so we could submit a proper bug report, that would be meaningful for developers. The fact that reopening the document "fixed" the issue, doesn't mean there is no issue... It only makes it harder to track and reproduce. But if we could take a "snapshot" of an existing condition and send it as a bug report, maybe that would give more insight. 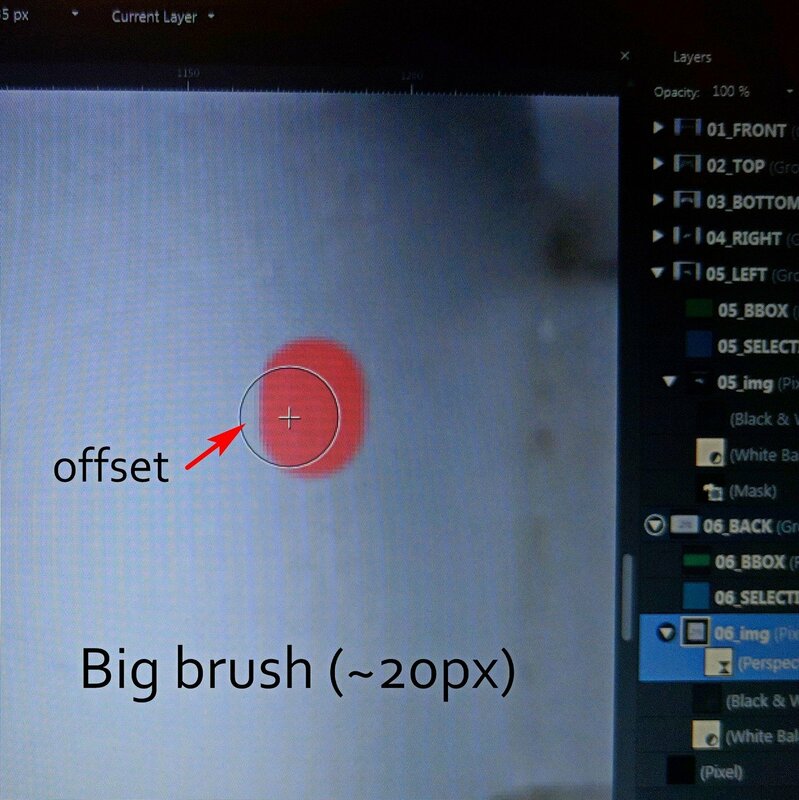 1. the inpainting brush offset, which maybe it could be explained by the perspective filter, but it SHOULD NOT HAPPEN. 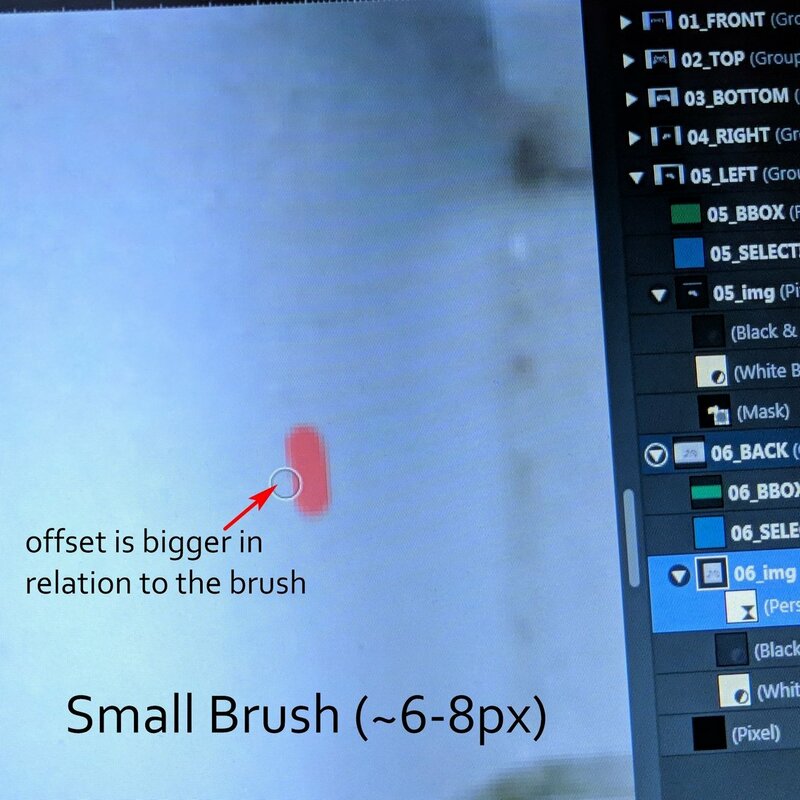 The reason of that circle on the brush is to show us WHERE the effect will be applied. If the effect is applied outside of the circle, then the circle cursor is pointless. But once the document has been closed and reopened, both issued reverted to a predictable behavior. So, I suspect indeed the perspective filter to be the culprit, but I can't tell why, so far. Obviously I will do the same in the future. Unfortunately I had a bit of hard time until I understood what is happening. There was no warning/notification, so I discovered it by trial.